New "regular edition" on 140 gram vinyl. We Release Jazz (WRWTFWW Records' new sister-label) present the official reissue of criminally overlooked Japanese jazz gem Mellow Dream by Hokkaido pianist wunderkind Ryo Fukui, originally released in 1977. Released in conjunction with the its legendary predecessor 1976's Scenery (WRJ 001CD/LP/LTD-LP). Firmly standing on the foundation he laid down with Scenery, Ryo Fukui continues his exploration of modal, bop, and cool jazz sounds with meticulous grace and absolute mastery. As its title suggests, Mellow Dream ventures into slightly mellower, more soulful, and sometimes more contemplative territories (the Bill Evans-reminiscent "Mellow Dream" and "My Foolish Heart") while still packing the commanding punch Fukui's work is loved for, as heard on the amazingly bombastic "Baron Potato Blues" or the gigantic McCoy Tyner/John Coltrane-influenced "Horizon" which sees each member of the trio -- Satoshi Denpo is on bass and Yoshinori Fukui is on drums -- demonstrating their virtuosity for nine exhilarating minutes. With his sophomore album, Ryo Fukui swings from melancholy to vibrant joy with ease, and reminds you that jazz is best served with a pinch of blues, and displays an immensely rare combination of pure talent, unique personal approach and focused discipline. The man undeniably deserves a spot in the pantheon of all-time great jazz pianists. After releasing the outstanding Scenery and Mellow Dream back-to-back, Ryo Fukui worked on developing his live skills, often performing at Sapporo's Slowboat Jazz Club (which he co-founded with his wife Yasuko Fukui), and even releasing two live albums. He sadly passed away in March 2016, leaving behind a legacy of works that all jazz lovers should explore. Sourced from the original masters. Mastered at half speed; 140 gram vinyl; includes sticker. 2019 repress; New "regular edition" on 140 gram vinyl. We Release Jazz (WRWTFWW Records' new sister-label) presents its first release, the official reissue of Ryo Fukui's highly sought-after masterpiece Scenery, originally released in 1976. 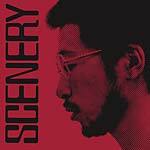 Unquestionably one of the most important Japanese jazz albums ever recorded, Scenery reveals Ryo Fukui as a miraculously brilliant self-taught pianist fusing modal, bop, and cool jazz influences for a very personal, dexterous, and game-changing take on classic standards made famous by Bing Crosby and John Coltrane among others. From "It Could Happen To You" and its serene and calm intro which magically flows into a jubilant and upbeat piece, to the out-of-this-world piano solo of "Early Summer", or the incredible teamwork of "Autumn Leaves" where Fukui leads Satoshi Denpo (bass) and Yoshinori Fukui (drums) into groove heaven, every single note on the album oozes precision, confidence, and flair and every single section slides seamlessly into one another, creating a supreme and elegant blend of jazz. Often compared to McCoy Tyner or Bill Evans, Ryo Fukui was a genius in his own right, a true master of his craft whose perfectionism gave birth to some of the greatest music ever recorded. Scenery is his magnum opus and an absolute must-have. The Hokkaido wizard-pianist followed Scenery with the soulful gem Mellow Dream (WRJ 002CD/LP/LTD-LP) in 1977. He then focused on improving his live skills, often performing at Sapporo's Slowboat Jazz Club (which he co-founded with his wife Yasuko Fukui) and releasing two live albums. Ryo Fukui sadly passed away in March 2016, leaving behind a legacy of works that is sure to captivate jazz lovers for generations to come. Sourced from the original masters. LP version is mastered at half speed; 140 gram vinyl with sticker. We Release Jazz (WRWTFWW Records' new sister-label) present the official reissue of criminally overlooked Japanese jazz gem Mellow Dream by Hokkaido pianist wunderkind Ryo Fukui, originally released in 1977. Released in conjunction with the its legendary predecessor 1976's Scenery (WRJ 001CD/LTD-LP). Firmly standing on the foundation he laid down with Scenery, Ryo Fukui continues his exploration of modal, bop, and cool jazz sounds with meticulous grace and absolute mastery. As its title suggests, Mellow Dream ventures into slightly mellower, more soulful, and sometimes more contemplative territories (the Bill Evans-reminiscent "Mellow Dream" and "My Foolish Heart") while still packing the commanding punch Fukui's work is loved for, as heard on the amazingly bombastic "Baron Potato Blues" or the gigantic McCoy Tyner/John Coltrane-influenced "Horizon" which sees each member of the trio -- Satoshi Denpo is on bass and Yoshinori Fukui is on drums -- demonstrating their virtuosity for nine exhilarating minutes. With his sophomore album, Ryo Fukui swings from melancholy to vibrant joy with ease, and reminds you that jazz is best served with a pinch of blues, and displays an immensely rare combination of pure talent, unique personal approach and focused discipline. The man undeniably deserves a spot in the pantheon of all-time great jazz pianists. After releasing the outstanding Scenery and Mellow Dream back-to-back, Ryo Fukui worked on developing his live skills, often performing at Sapporo's Slowboat Jazz Club (which he co-founded with his wife Yasuko Fukui), and even releasing two live albums. He sadly passed away in March 2016, leaving behind a legacy of works that all jazz lovers should explore. Sourced from the original masters. CD comes in digipack. Sold out deluxe edition, replaced by "regular" version (WRJ 002LP). MIght come back late 2019... Mastered at half speed. 180 gram vinyl; Stoughton tip-on sleeve. We Release Jazz (WRWTFWW Records' new sister-label) present the official reissue of criminally overlooked Japanese jazz gem Mellow Dream by Hokkaido pianist wunderkind Ryo Fukui, originally released in 1977. Released in conjunction with the its legendary predecessor 1976's Scenery (WRJ 001CD/LTD-LP). Firmly standing on the foundation he laid down with Scenery, Ryo Fukui continues his exploration of modal, bop, and cool jazz sounds with meticulous grace and absolute mastery. As its title suggests, Mellow Dream ventures into slightly mellower, more soulful, and sometimes more contemplative territories (the Bill Evans-reminiscent "Mellow Dream" and "My Foolish Heart") while still packing the commanding punch Fukui's work is loved for, as heard on the amazingly bombastic "Baron Potato Blues" or the gigantic McCoy Tyner/John Coltrane-influenced "Horizon" which sees each member of the trio -- Satoshi Denpo is on bass and Yoshinori Fukui is on drums -- demonstrating their virtuosity for nine exhilarating minutes. With his sophomore album, Ryo Fukui swings from melancholy to vibrant joy with ease, and reminds you that jazz is best served with a pinch of blues, and displays an immensely rare combination of pure talent, unique personal approach and focused discipline. The man undeniably deserves a spot in the pantheon of all-time great jazz pianists. After releasing the outstanding Scenery and Mellow Dream back-to-back, Ryo Fukui worked on developing his live skills, often performing at Sapporo's Slowboat Jazz Club (which he co-founded with his wife Yasuko Fukui), and even releasing two live albums. He sadly passed away in March 2016, leaving behind a legacy of works that all jazz lovers should explore. Sourced from the original masters. Last copies of this deluxe edition, to be replaced by "regular" version (WRJ 002LP). We Release Jazz (WRWTFWW Records' new sister-label) presents its first release, the official reissue of Ryo Fukui's highly sought-after masterpiece Scenery, originally released in 1976. 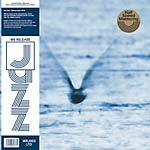 Unquestionably one of the most important Japanese jazz albums ever recorded, Scenery reveals Ryo Fukui as a miraculously brilliant self-taught pianist fusing modal, bop, and cool jazz influences for a very personal, dexterous, and game-changing take on classic standards made famous by Bing Crosby and John Coltrane among others. From "It Could Happen To You" and its serene and calm intro which magically flows into a jubilant and upbeat piece, to the out-of-this-world piano solo of "Early Summer", or the incredible teamwork of "Autumn Leaves" where Fukui leads Satoshi Denpo (bass) and Yoshinori Fukui (drums) into groove heaven, every single note on the album oozes precision, confidence, and flair and every single section slides seamlessly into one another, creating a supreme and elegant blend of jazz. Often compared to McCoy Tyner or Bill Evans, Ryo Fukui was a genius in his own right, a true master of his craft whose perfectionism gave birth to some of the greatest music ever recorded. Scenery is his magnum opus and an absolute must-have. The Hokkaido wizard-pianist followed Scenery with the soulful gem Mellow Dream (WRJ 002CD/LTD-LP) in 1977. He then focused on improving his live skills, often performing at Sapporo's Slowboat Jazz Club (which he co-founded with his wife Yasuko Fukui) and releasing two live albums. Ryo Fukui sadly passed away in March 2016, leaving behind a legacy of works that is sure to captivate jazz lovers for generations to come. Sourced from the original masters. CD comes in digipack. Sold out deluxe edition, replaced by "regular" version (WRJ 001LP). Might come back late 2019.... Mastered at half speed. 180 gram vinyl; Stoughton tip-on sleeve. We Release Jazz (WRWTFWW Records' new sister-label) presents its first release, the official reissue of Ryo Fukui's highly sought-after masterpiece Scenery, originally released in 1976. 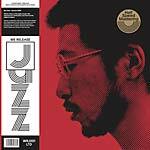 Unquestionably one of the most important Japanese jazz albums ever recorded, Scenery reveals Ryo Fukui as a miraculously brilliant self-taught pianist fusing modal, bop, and cool jazz influences for a very personal, dexterous, and game-changing take on classic standards made famous by Bing Crosby and John Coltrane among others. From "It Could Happen To You" and its serene and calm intro which magically flows into a jubilant and upbeat piece, to the out-of-this-world piano solo of "Early Summer", or the incredible teamwork of "Autumn Leaves" where Fukui leads Satoshi Denpo (bass) and Yoshinori Fukui (drums) into groove heaven, every single note on the album oozes precision, confidence, and flair and every single section slides seamlessly into one another, creating a supreme and elegant blend of jazz. Often compared to McCoy Tyner or Bill Evans, Ryo Fukui was a genius in his own right, a true master of his craft whose perfectionism gave birth to some of the greatest music ever recorded. Scenery is his magnum opus and an absolute must-have. The Hokkaido wizard-pianist followed Scenery with the soulful gem Mellow Dream (WRJ 002CD/LTD-LP) in 1977. He then focused on improving his live skills, often performing at Sapporo's Slowboat Jazz Club (which he co-founded with his wife Yasuko Fukui) and releasing two live albums. Ryo Fukui sadly passed away in March 2016, leaving behind a legacy of works that is sure to captivate jazz lovers for generations to come. Sourced from the original masters. Last copies of this deluxe edition, to be replaced by "regular" version (WRJ 001LP).